This post is an exploration of several functional programming concepts. We’ll use strings as our problem space, but we won’t concern ourselves with the intricacies of Unicode. In the first part of the post, I’ll define several functions using concepts from functional programming: map, filter and reduce. Towards the end of the post, I’ll demonstrate how to combine the functions together using function composition to create more complex functions. Let’s start by replicating NSString’s uppercaseString method. First we’ll implement a simple function that transforms a character into its uppercase equivalent. In order to transform a lowercase character into its uppercase equivalent, we utilize a simple trick: subtract 32 from the character’s underlying value. This trick is certainly not the correct way to perform case mapping in Unicode, but it will work just fine for this example. After calculating the new character code, we initialize a UnicodeScalar and pass it into the corresponding Character initializer. return c >= "A" && c <= "Z"
Now that we have functions to transform the cases of individual characters, we can move on to define functions that work on strings. In order to make use of the functions we defined earlier, we will utilize recursion. The character ‘S’ is the head. The string “wift” is the tail. The head property will return the first character of a string, or nil if the string is empty. The tail property will return the result of dropping the first character, or an empty string if the original string was empty. If the head of the string is equal to the character we want to replace, we return the new character concatenated with the result of passing the string’s tail into our new function. The character we wish to replace is replaced with the new character and we recursively do the same for the string’s tail. If the head is not equal to the character we want to replace, we simply prepend the head to the result of passing the string’s tail into our new function. The $0 above is the current character that filter is checking. If the character is a space character, we exclude it from our new string. The result of filtering a string is a [Character] so we use a String initializer to return the correct type. In each pass through the string, we return the uppercased version of the current character concatenated with the accumulated value. This returned value becomes the accumulated value that used for the next pass through the string. 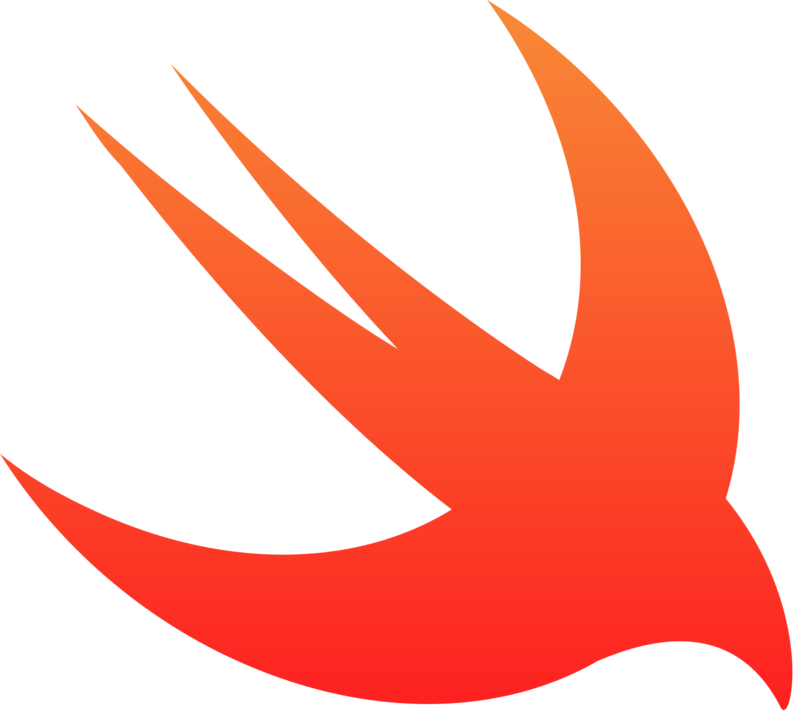 The code snippet above produces “SWIFT”. We could modify our implementation of uppercase to use reduce. First we get each word from the string and assign it to a constant called stringComponents. We then map over the array of words, uppercasing the head of each one. Finally we use the join method from the String type to interpose a space between each capitalized word, producing a single string. It’s simple, but it clarifies our intent. In join’s implementation we take the tail of our result, because an additional space is added to the beginning during the first pass of reduce. Finally, before we rewrite our function, let’s define a custom operator that will help us compose our functions. The >>> operator takes a function from A to B, a function from B to C, and produces a function from A to C.
You’ll notice that if we write the types in order, they match up. This is what allows function composition to work. Each function takes the type that the previous function returns. The inline closure may be a bit confusing at first but it’s useful to examine its type based on where it is placed in our function composition. Since it is placed after words, it takes a String array and since it is placed before join, it must return a String array. Inside the closure is a call to the map method that exists in the Array type. The $0 is the return value of the previous function, words. We map through each element in the array and call capitalizeWord on each string, producing an array of capitalized words that we can feed into our join function. return c >= "1" && c <= "9"
let amex = "1234 123456 12345"
let masterCard = "1234 1234 1234 1234"
Because our composed function, (removeWhitespace >>> isNumeric), and our cardLength function both accept the same parameter, we can simplify our isValidCreditCard even further. Let’s define a new function that takes two functions of type A -> Bool and returns a function of type A -> Bool. When we call our resulting function and pass in an A, both input functions are evaluated and the result of using && on the results is returned. and allows us to compose our existing validation functions into a single function. The first parameter is a closure of type String -> Bool. The second is a composed function of type String -> Bool. Instead of returning a Bool indicating whether or not a card is valid, we return a new function that takes a string (the card number) and returns a Bool. We’ve learned how to use several concepts from functional programming such as recursion, map, filter and reduce. We’ve then used function composition to combine these functions together to create more complex functions. I hope you’ve found this post useful. If you would like a more gentle introduction to functional programming, I recommend reading some of the posts that I linked to last week. I’ve added a few more links that introduce map, filter and reduce more slowly than I’ve done here. If you’d like to provide feedback, feel free to leave a comment below or message me on twitter at @jmecsmith. Thanks for reading! Be sure to check out the playground for this post below. Previously this post claimed to utilize tail recursion for the implementation of uppercase, lowercase and replaceCharacter. Thanks to Fritz Anderson for pointing out that this is in fact just plain old recursion, not tail recursion. If you’d like to learn more about tail recursion, you can check out this link or read the comments below.